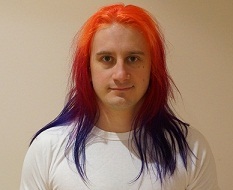 Ashton's BlogContact Ashton$8 Free On 888 PokerPartyPokerLock PokerSports Betting: Free $150 Bet! Is Poker Income Taxable in Australia? A change of pace. .
One question that I get asked a lot is “What are the best poker books to read?” I’m a firm believer in reading as a way to acquire knowledge without having to make the same mistakes that someone else may have already made. Particularly in poker, learning a lesson from a book is SIGNIFICANTLY cheaper than losing all your money gaining experience from the ground up! These days there are many types of poker: Texas Hold’em is of course the most popular, but there is also Pot Limit Omaha, Stud, Draw poker etc. Even within a single category such as Texas Hold’em poker books there are different categories of books: Poker tournament books, cash game poker books, Sit ‘n’ Go poker books, not to mention books that focus on either online poker, or live poker. There are books on poker tells, books on bankroll management, books about playing poker for a living, and even books about the philosophy of poker. For that reason, this list is broken down into several categories. If you are a beginner, or if you are a superstar, chances are that there will be some books here that you may not have encountered. I consider myself a serious poker student, and I have read over 80 books on poker to date. These books have ranged in quality from “Must read!” to “Not that relevant” to ‘I want to drill a hole in my head to let the boredom out”. Here is the list of what I consider to be the top 10 poker books. Every poker book listed here is a poker book that has had a significant impact on my caliber of play, my enjoyment of the game, or (most importantly) my profit. If you are just starting out in poker, a solid grounding in the fundamentals is a must. These books are undisputedly the best books to start with. They are for Texas Hold’em poker tournaments, and cover such important poker concepts as overall tournament strategy, pot odds, bluffing, stack sizes, and the hugely powerful “M”. Written by WSOP Champion Dan Harrington and Bill Robertie, the books are extremely easy to read, and contain excellent step-by-step hand walkthroughs. As an indication of how awesome these books are, I’ve read each of them at least five times. Even though these books are primarily about poker tournaments, the basic concepts apply to cash games as well, which is why these books get their own list all of their own. Buy them cheap at Amazon.com, since it’s almost impossible to find a bookstore than has them. Best poker investment you will ever make. This book is, quite literally, one of a kind. In 2007 professional poker player Gus Hansen recorded every hand he was dealt in the Aussie Millions tournament in Melbourne Australia. After five days and 850 hands, he walked away with the title and the first place prize money of $1.2 million. This book completely changed the way I looked at tournament poker, and was directly responsible for my switching from playing mainly cash games or SNG’s to playing mainly tournament poker. Gus Hansen has a style of play that can be considered almost insanely aggressive to the un-initiated, but through the book you can see the fundamental maths principles that apply to his madness, and you can learn not only why they work, but also how to make them work for you. One of the most well known books for professional tournament players, “Kill Everyone” is the sequel to the book “Kill Phil” (which was solid but not exceptional). Written by professional players Tysen Streib and PokerStars Team Online Pro Lee Nelson, this was the first tournament poker book to delve thoroughly into the concept of “un-exploitable play”. With plenty of in-depth tournament strategy for use in multi-table tournaments as well as Sit-n-Go’s, along with a solid grounding in tournament based mathematics, this book is definitely worth reading if you want to play poker tournaments in a serious way. If you are a more interested in poker Cash Games (the type of poker that you play at the casino), then you will want to read the books listed here. Unlike tournaments where the amount of money you can lose is limited to the cost of the tournament, in a cash game you can keep putting money on the table until your wallet is completely empty. With higher risks comes the potential for higher returns however, and the vast majority of professional poker players make their living from poker cash games rather than tournament poker. Just as the Harrington on Hold’em books are the best place to start for tournament players, the Harrington on Cash Games are the best books to continue with once you decide to move into cash games. 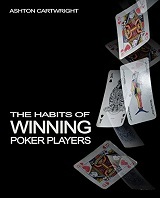 Whether playing cash games online, or playing live at a casino, these books should not be neglected. Even now I see so many semi-professional poker players at the casino playing reasonably high stake cash games ($500 or $2000 buy-ins) making the same fundamental errors over and over again, simply because they feel they “already know it all”, or because they’re just too lazy to develop their game. Don’t be one of those players! Buy, borrow or steal these books, and read them! These books are so simple yet powerful that they will often be the difference between a player losing consistently or winning consistently. After you have read the Harrington Books, this is the next one you should read on the subject of cash games. This book was directly responsible for be moving from a slightly profitable player at online cash games to a significantly profitable player at online cash games. With the focus primarily on how to make the most money you can, this book will show you how to correctly size your bets, know when to go all in, and help you put your opponents in the most difficult situations possible. It will teach you essential cash game strategies such as the REM Process, Stack-to-Pot ratios, and the Commitment Threshold. This book gets about 7,000,000 out of 10 in my opinion. It’s just that badass. This book is written by David Sklansky, who is well know in the poker community as being not only an excellent poker player and a prolific author, but he is also a math freak. David Sklansky coined some of the common poker terms that are used today, such as “Semi-Bluff” and “Implied Odds”. Though the concepts in this book can be applied to tournament poker as well, most of the moves and calculations are more relevant in a cash game setting. Be aware, however: this book is not for the faint hearted! Though the layout and structure of the book is very simple, the concepts are ultra-potent, and sometimes extremely counterintuitive. Don’t get this book if you just want a relaxing poker book to read while on the toilet; because this book would probably cause constipation. If you are willing dedicate some effort in order to wade through intense multi-level thinking and maths equations in this book however, you will end up with an in-depth understanding about the game that very few people are able to match. Only recommended for the serious poker student. For those of you who may not know, a SNG’s (or Sit ‘n’ Go’s) is a poker tournament that begins once a particular number of players have joined. For example a 10 player SNG will start when 10 players have registered. It will not start with only 9 players, and it will never have 11 players. a 10 player SNG tournament will start with 10 players, and 10 players exactly. Because the SNG poker format has only become prolific over the last few years, there hasn’t been many poker books written about them. Of the ones that have been written however, there is one book that stands far above all others, and that book is Collin Moshman’s Sit ‘n Go Strategy. This book is to SNG’s what The Hobbit is to short people with hairy feet. For the few months when I was exclusively playing online SNGs for a living, this book was my Bible. It covers correct strategy at the early, middle, and late stages of a SNG, as well as discussing the powerful concept of ICM (Independent Chip Modelling) as it relates to SNGs. The book is simply and clearly laid out, and even though Collin has an honours degree in theoretical mathematics, the book is easy to read and assimilate. 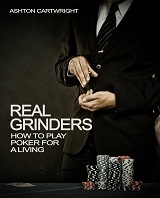 If you have any intention of winning consistently in SNGs (whether live or online) then this book must definitely form a part of your poker library. 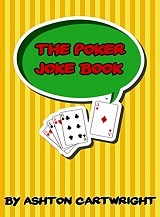 Caro’s Book of Poker Tells is considered to be one of the most important poker books on the subject of “reading” your opponents in live poker games. Filled with photographic examples of tells in action, Mike Caro delves into the psychology that makes people act certain ways with certain hands. This book is particularly useful when you play against unsophisticated opponents (such as the recreational players at a casino), since many of the body language tells will be much more obvious when your opponent is inexperienced. Definitely a must read if you play live poker tournaments or cash games, even if only to make sure you aren’t giving away tells of your own that perceptive opponents can pick up on (Hint: you probably are!). So! Those are my Top 10 Poker Books! I have always found poker to be a dynamic and exciting game, and the more I learn about it the more fun and profitable it becomes! Hopefully you will read some of these books yourself and gain just as much pleasure (and just as many new skills) from them as I did.